You either love it or hate it. Valentine's Day that is, and I Love It. With this kit and it's 130 elements and 15 papers will have you lovin' it! Not all elements are shown in preview. For personal use only. PTU. This kit is fabulous and full of endless possibilities. You will not be disappointed by purchasing February 14th scrap kit. 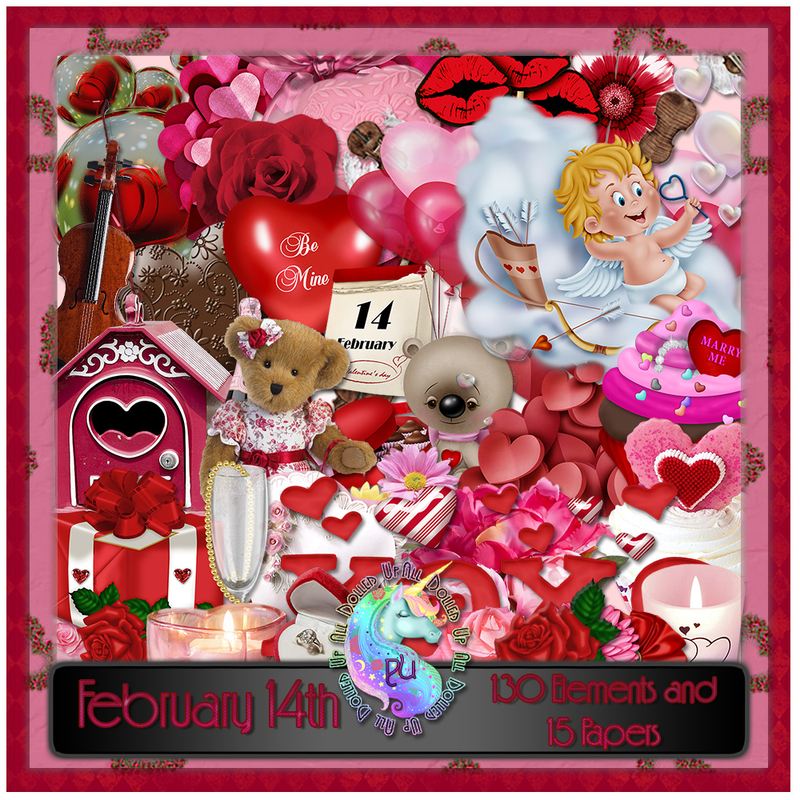 You can get this fabulous Valentine’s themed kit at All Dolled Up Store and PicsForDesign.